Heating is an essential part of vivarium setup as cold-blooded reptiles need heat to stay happy and healthy. Heat mats are a popular way to provide this warmth because they heat the vivarium from underneath to maintain a constant source of heat. They provide a very gentle warmth that the reptile can sit on top of to heat themselves (in a similar way to basking) without burning them. 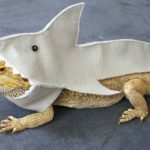 But finding a good value, good quality heating mat can be a bit of a minefield – particularly if you’re a first time reptile owner. So we’ve put together this round-up of the best reptile heat mats under £15 – they’re all taken from the Amazon bestseller list so you can order at the click of a button if you find the right one for you! 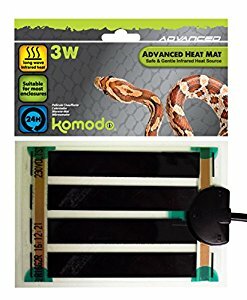 Great for snakes, this heat mat has equally great reviews on Amazon. 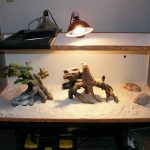 It’s ideal for a small snake tank – just bear in mind that there’s no dial so you’ll need to use a thermostat to control the temperature of this heat mat to avoid burning your reptile. This reptile heating mat is perfect for providing gentle heat for species that don’t need high temperatures or providing cooler temperatures a night. 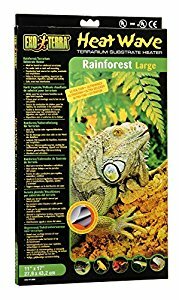 It’s available in a variety of sizes so you’ll be able to find one that’s the right size for your enclosure and for reptiles that prefer higher temperatures, it can be used in combination with another heat source. 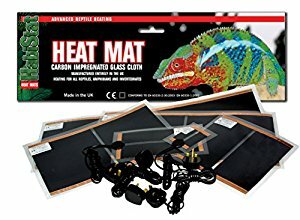 This good value heat mat is a great option – it’ll keep your reptile warm without burning them and is available in a variety of sizes so it’s easy to find the perfect one to fit your enclosure. 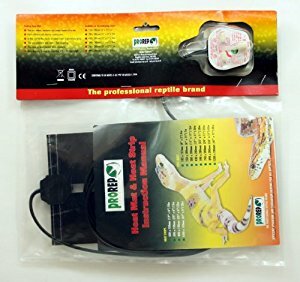 This great value reptile heating mat is ideal for using as a source of 24 hour heat – and can be used alone or in conjunction with other heat sources like a ceramic lamp. Just remember to attach this mat to a thermostat to avoid burning your pet. We’re also a fan of this Habistat heat mat – it provides a very gentle warmth that reptiles can absorb in a similar manner to basking in their natural environment. Not to mention it’s perfect for using as the primary heat source in your vivarium. 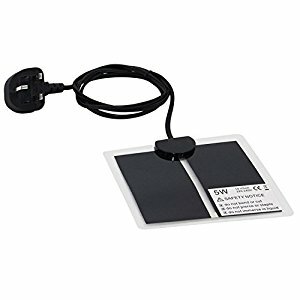 Ideal for dry or desert terrarium setups, this heat mat can be mounted under the tank to heat it from below. This one is particularly suited to glass tanks. I brought this to use while my Royal Python was housed temporarily in a glass tank. 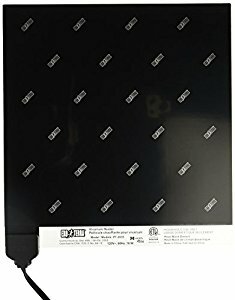 Admittedly, I used to rave about these Exo Terra mats, thinking they were the best around, but as time has passed by, I've learned that there are better heat mats available out there, and you really do get what you pay for. I once brought these regularly without hesitation, but recently, the quality has been questionable, as the mats had stopped working after only a few months, something which hadn't happened to me before. This latest one came with a European plug, so required a UK adaptor, and it too stopped working after just two months. Please don't misunderstand me, this heat mat will do the job, and warms the environment to a reasonably adequate temperature. Maybe I just had a bout of bad luck.? So, overall, if you're on a budget, or just looking for something temporary, then by all means, take a chance and give this Exo Terra mat a try. 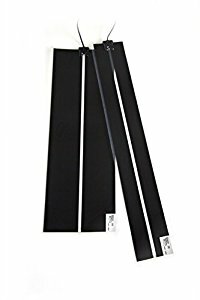 I just wanted to give honest feedback as formerly frequent buyer of these heat mats. What I was looking for. My Chilean Rose Hair loves it. Right temp for him. 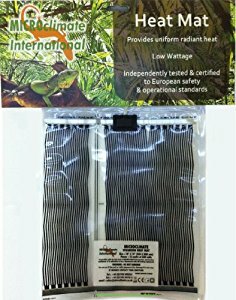 This great value heat mat is ideal for humid or rainforest terrariums and can be mounted under the tank or on the wall. Just bear in mind that it’s only suitable for glass tanks! 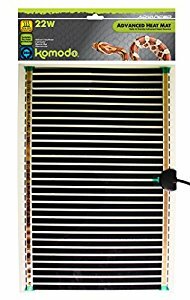 This reptile heat mat is great for corn snakes and has really good reviews on Amazon. It gets warm enough to heat one side of the vivarium but not hot enough to burn your reptile. Just remember to use a thermostat to control the temperature! Last but not least is this heat map from ProRep. Ideal for leopard geckos with great reviews on Amazon, they can be mounted under a tank to heat it from below. It also provides a gentle warmth so it’s unlikely to burn your reptile.